The Florida state song is “Old Folks at Home”. Stephen C. Foster wrote “The Swanee River (Old Folks at Home)” in 1851. After Foster wrote the song, he sold it to E. P. Christy, a businessman who operated a series of minstrel shows. Foster is reported to have chosen the term “Swanee” because its two-syllable cadence fit nicely into the music he had composed. 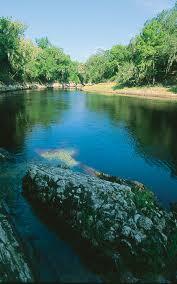 The composer was not familiar with the Florida section of the Suwannee River, because he never visited the state. A memorial center at White Springs, Florida, honors Foster, who authored about 200 popular songs during his prolific career. Representative S. P. Robineau of Miami introduced House Concurrent Resolution No. 22 in 1935, designating “Swanee River” as the official state song. It replaced “Florida, My Florida,” which had been adopted as the state song in 1913. In 2008, the Legislature designated that a revised version of the lyrics be the official version.